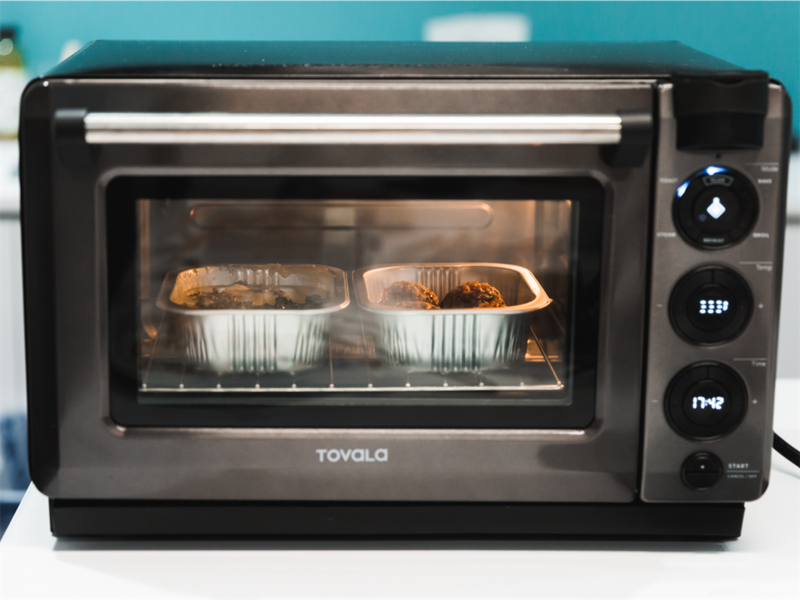 Tovala sells a gourmet meal-kit service along with its futuristic smart oven. 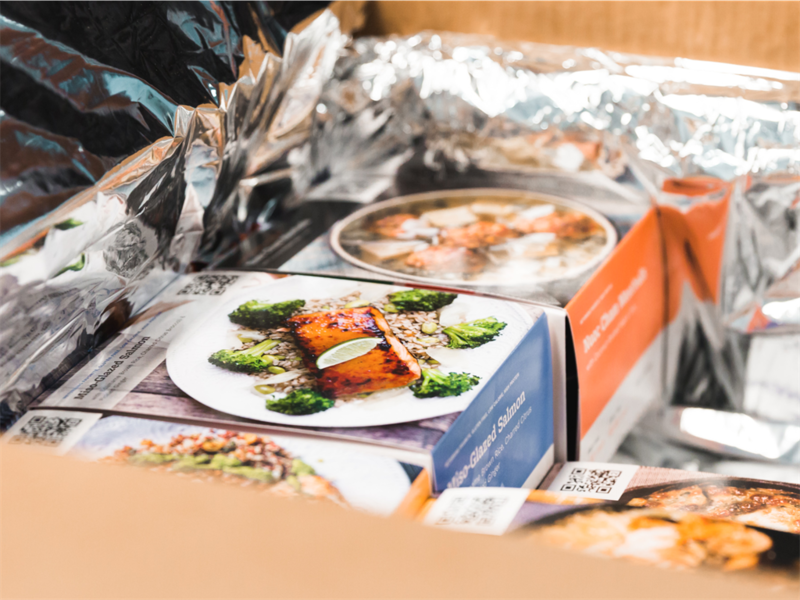 Tovala has created a smart oven and meal-kit service intended to simplify home cooking. The oven is a countertop machine that essentially combines four types of appliances: a broiler, a steamer, an oven, and a toaster. We got a chance to test it out - here's what it was like. 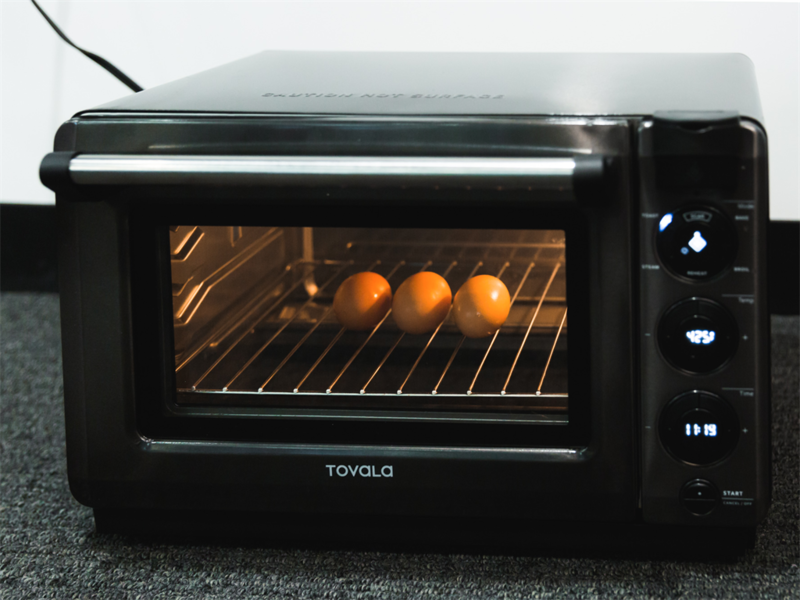 The Tovala oven is a countertop machine that combines four types of appliances: a broiler, a steamer, an oven, and a toaster. 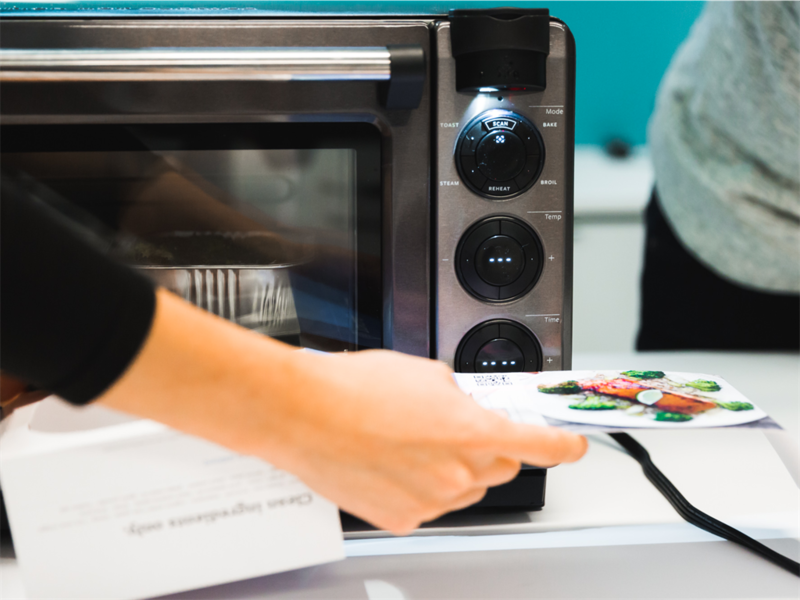 The oven is wifi-enabled and connects to an app with hundreds of recipes. 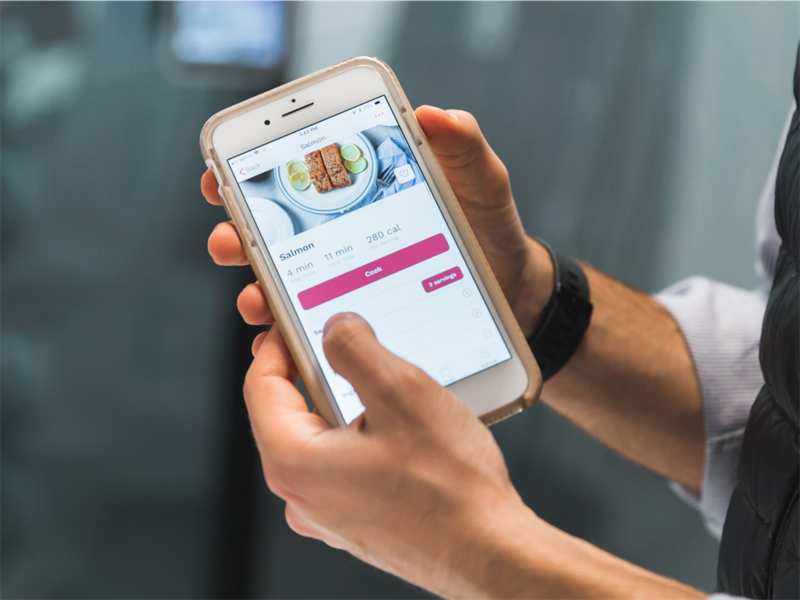 The user simply needs to select a recipe on the app or scan the barcode on one of the service's prepared meals, and the oven will then do all of the work. The new oven works in the same way as the original version. 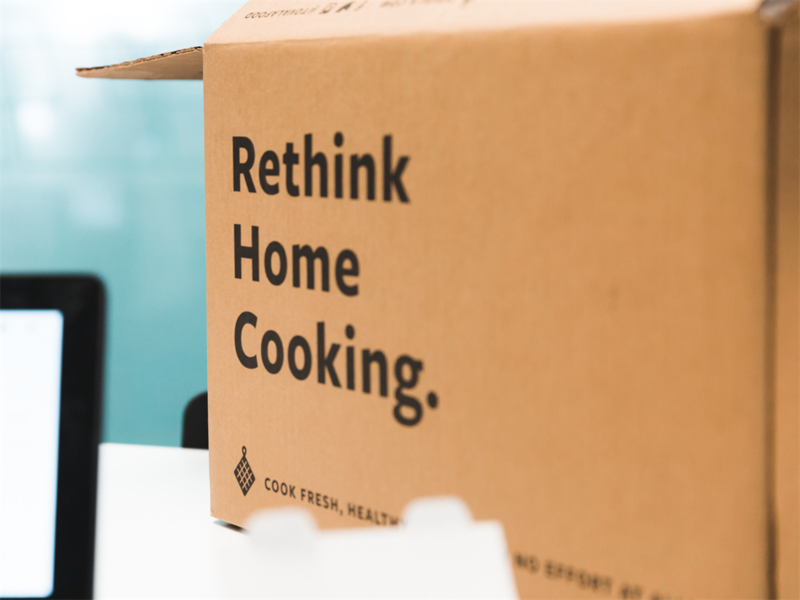 There are two options: to cook independently using the machine or to subscribe to its prepared meal kits. 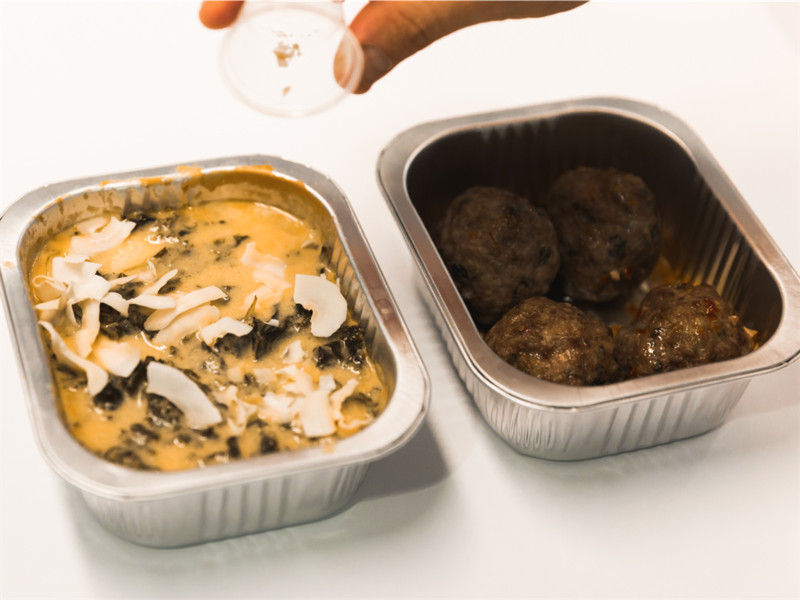 There are two main differences between the two models: The new model is 15% smaller and lighter than its predecessor, and users are now able to cook on the oven without having to use the app. 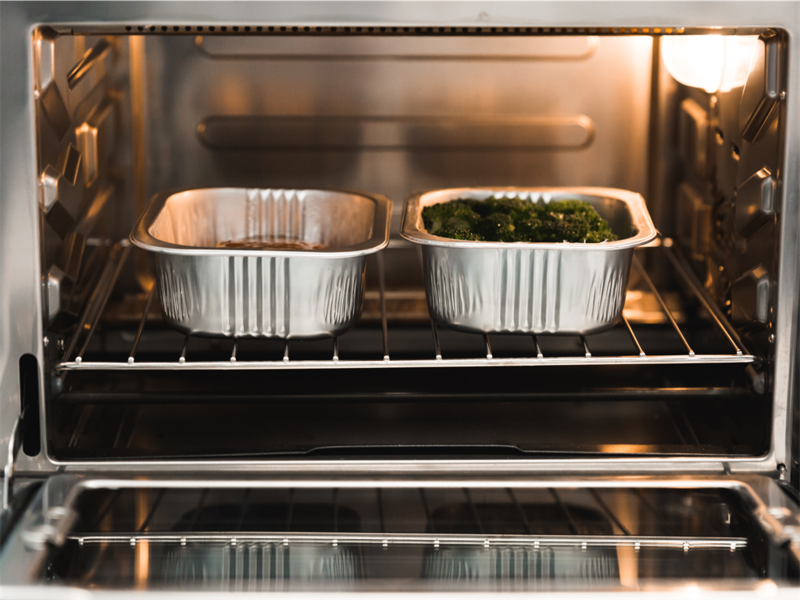 According to the company's CEO, David Rabie, not being able to use the oven without the app was one of the biggest complaints customers had about the original version. If you opt for the meal kits, you have the choice between three, four, six, eight, nine, or 12 meals a week. 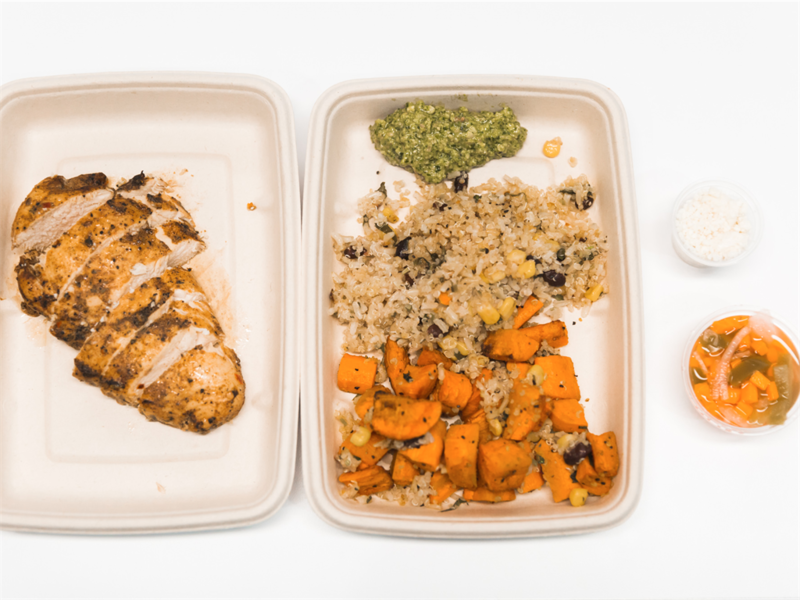 Customers who sign up for 100 Tovala meals within the first 12 months of their purchase are eligible for $100 off the oven. The oven itself costs $349 (about R5,000) and comes with a 180-day return policy. Each meal costs just shy of R168 and is meant to feed one person. 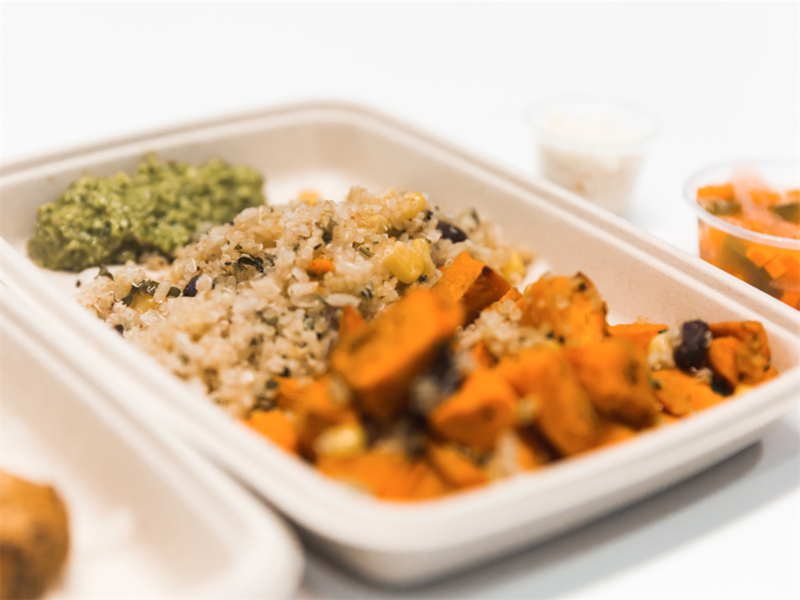 If you're ordering as a couple or feeding a family, you'd need to order more of each variety. Customers are required to pick which meals they want on a Wednesday for the following Monday. There are eight meals to choose from each week. 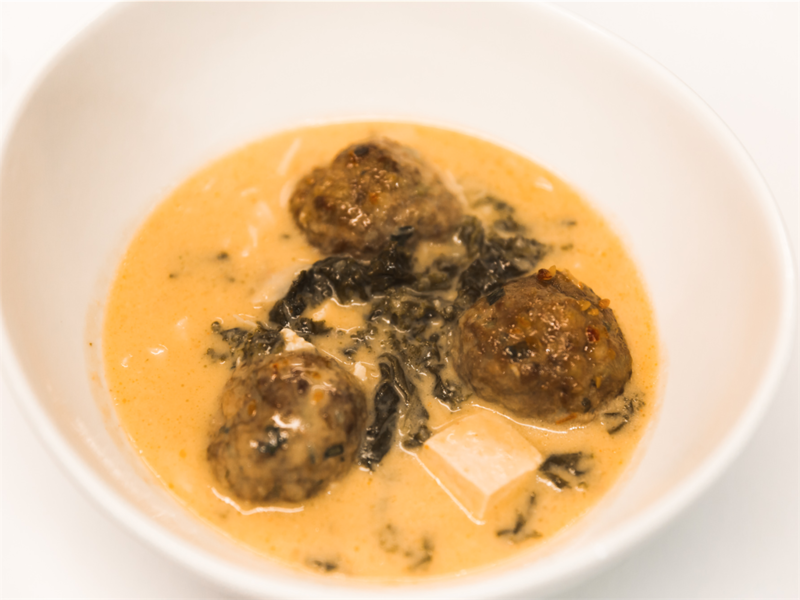 The dishes are made with fresh ingredients, which are locally sourced when possible. "The overarching philosophy in the meals is to have clean ingredients," Rabie told Business Insider. There are no preservatives in the food, the meals are never frozen, and they are meant to last for the week only. 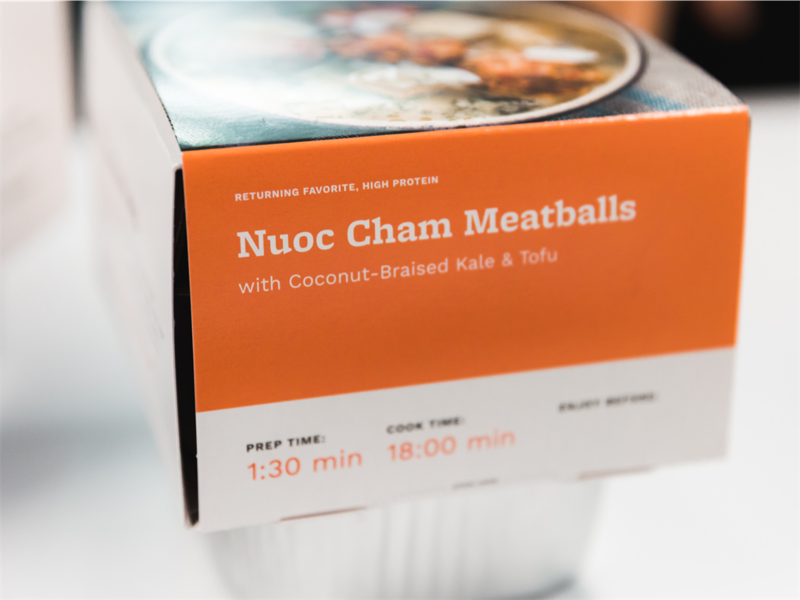 While the premise of these meal kits is similar to other companies' such as Blue Apron, Tovala meals require almost no preparation time. The food arrives chopped in trays that look a lot like aircraft meals and are ready to be cooked right away. 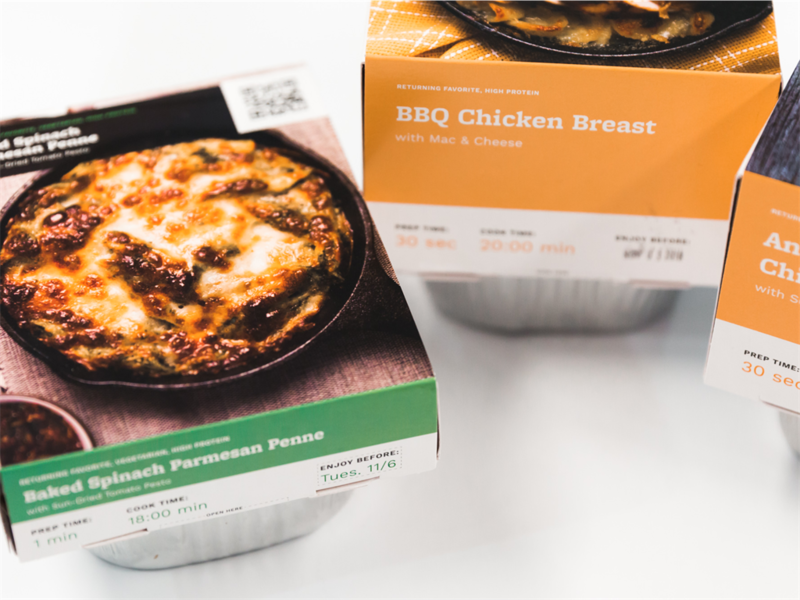 Rabie said the company had seen a lot of former meal-kit customers turning to Tovala after being frustrated by the chopping, cooking, and cleaning involved with other meal-kit services. "I get customers that email me saying, 'You saved my marriage,'" he said. 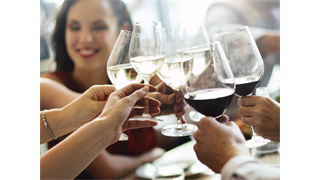 "It is insane what taking the stress of dinner away from people will do. We didn't expect this when we launched the company." The only thing you need to do is season the dishes. 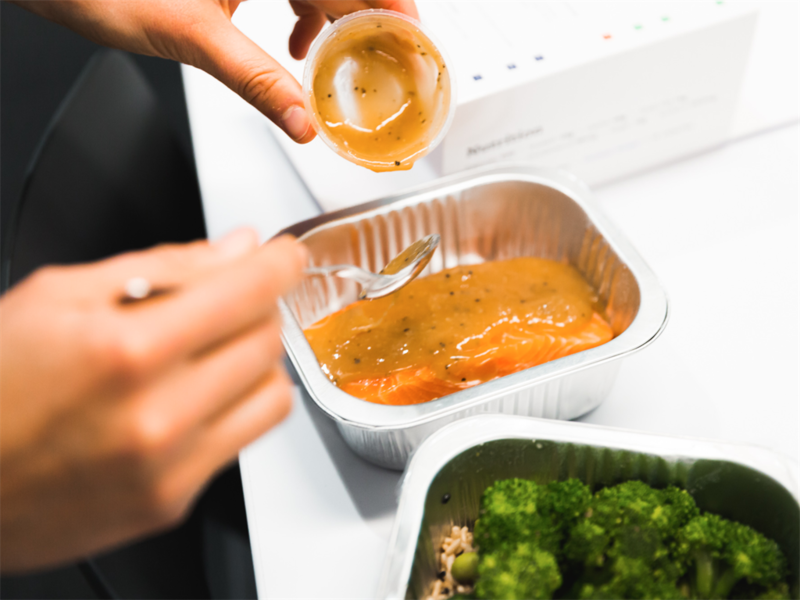 "Spreading a glaze is one of the more involved steps," Alexander Plotkin, the company's chief culinary officer, told Business Insider. In some cases, you'll be doing no more than opening the box and peeling away the plastic. 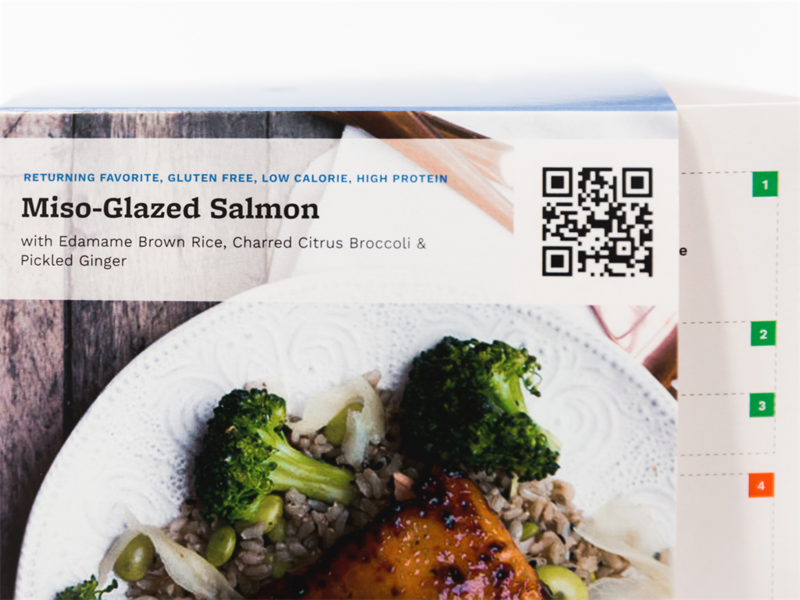 Each meal has a unique barcode. This barcode stores the data that instructs the machine how to cook the dish. 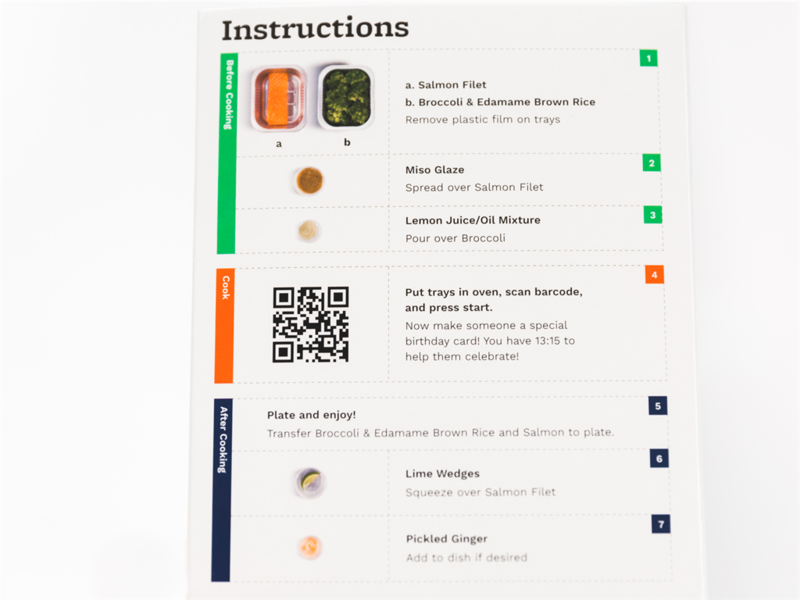 Recipe instructions can be updated remotely from the company's headquarters. 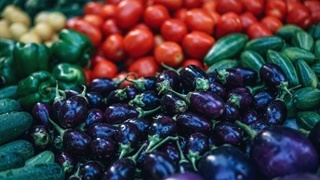 It takes 18 to 20 minutes to cook each meal, with minimal preparation. You can track the cooking progress using the Tovala app. 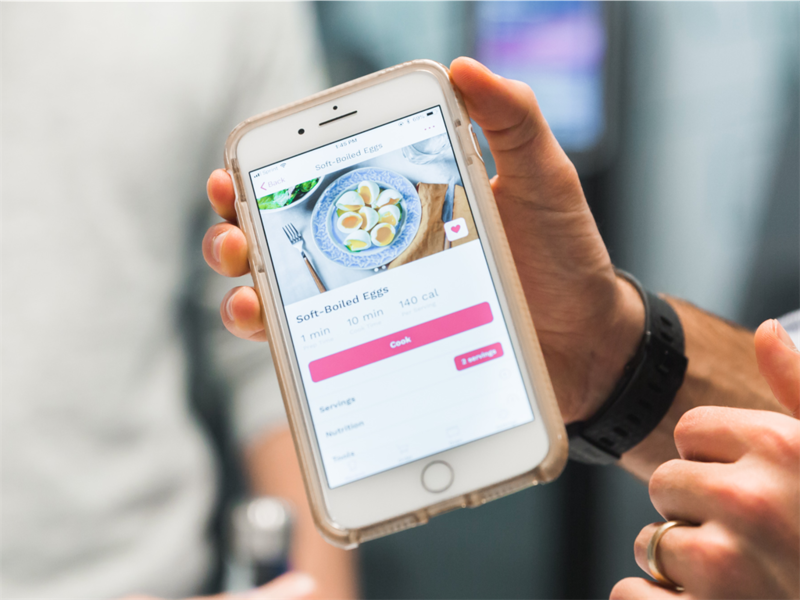 The team says one of customers' biggest complaints with the first version of the oven was that it could be used only with the app. That limit has been removed in the new version. Plotkin has created about 250 recipes for food that can be cooked together using the same sequence of steam, convection bake, and broil. 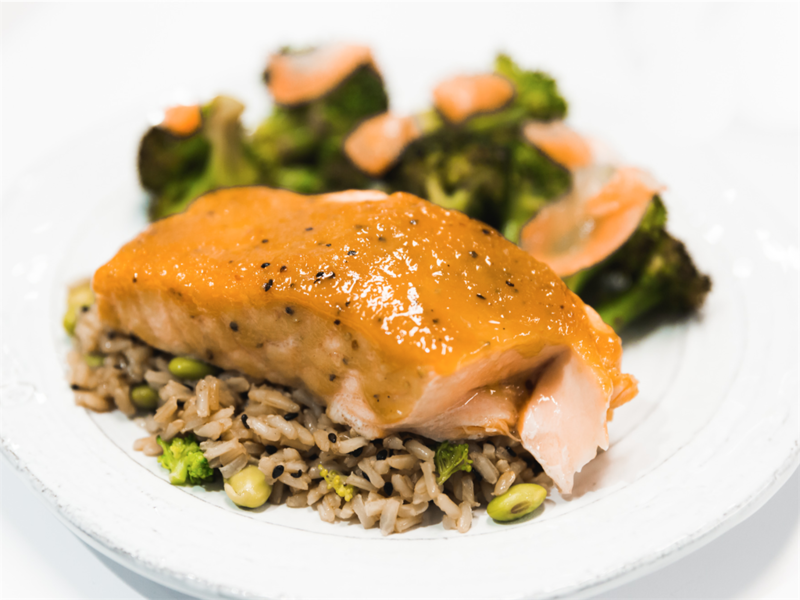 For example, a miso-glazed salmon and charred citrus broccoli dish steams at 200°C for a minute and 30 seconds, convection bakes at the same temperature for five minutes and 30 seconds, and then broils at 260°C for four minutes and 15 seconds. Twenty minutes later, the meal is ready to be plated. Tasting the food was probably the most surprising part of this test. While the machine is impressive, it's the high quality of the food that's the real game changer. ... which were just as easy to cook and equally delicious. Disclaimer: These were voted as some of Tovala's most popular dishes, so we were sampling the best of the best. The meals contain about 1,700- to 3,300kJ. 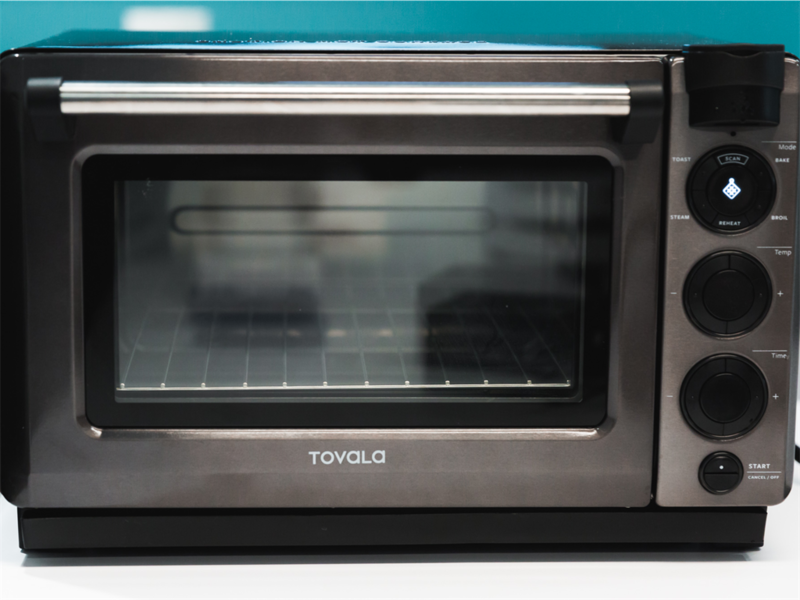 Plotkin said that because of the low kJ count and portion control, some customers said they had lost weight while cooking with the Tovala oven. 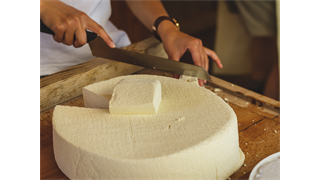 ... as are various nut-, dairy-, or gluten-free options. 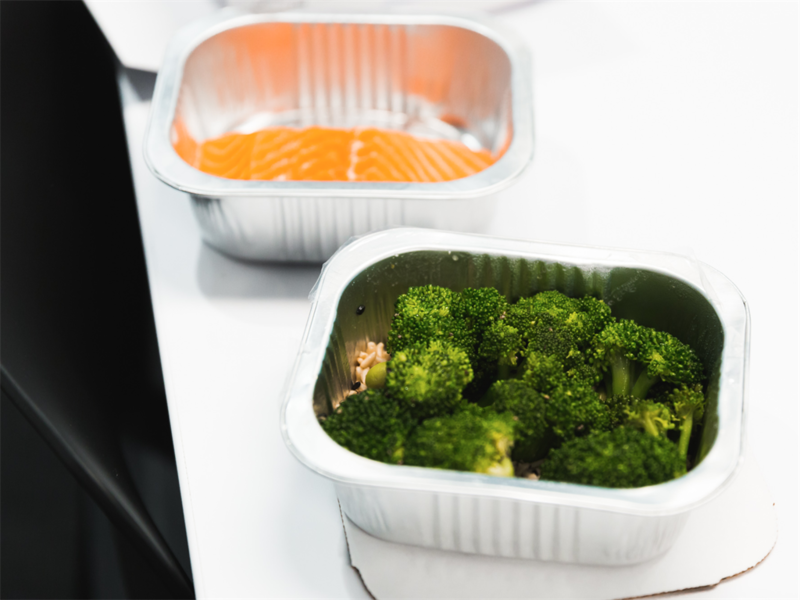 Tovala is also thinking about developing meals that would fit into diet plans such as Whole30. One of the biggest downsides of the meal kits is the cost, especially if you're feeding a family. 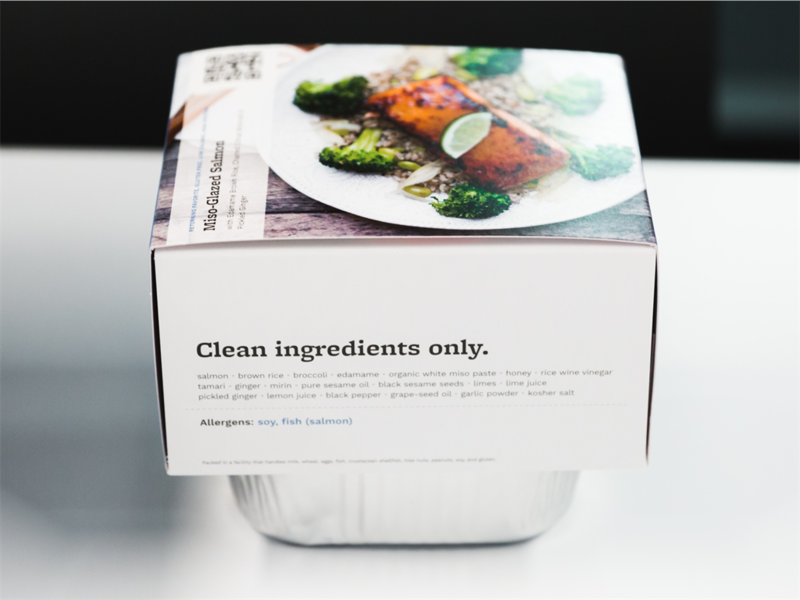 The bonus here, however, is that you can opt out of the meal kits and simply use the oven to cook your own recipes. You can either use it like a regular oven or with the app. 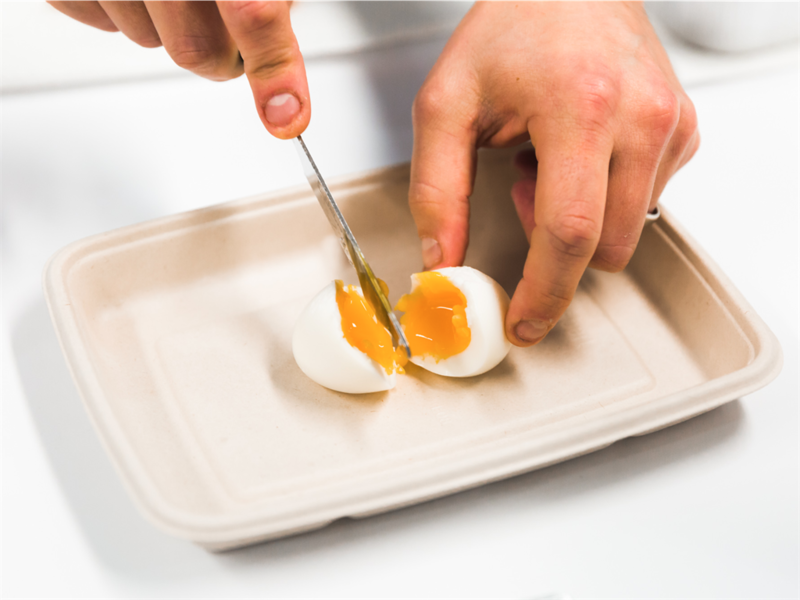 We tested one of the simplest tasks around, which can still be hard to get right: boiling an egg. The app allows you to select how you want your egg cooked. We sought to replicate a soft- and a hard-boiled egg, and both were cooked to perfection.